A look at the Westward Expansion through the lens of music including the Lewis and Clark Expedition, the Oregon Trail, the cowboys, Native Americans, pioneers, and early frontier communities of the nineteenth century American West. Assembly Program: (50 minutes) for k-12. This program includes music for guitar, fiddle, piano, singing, and the Northern Cheyenne Courting Flute. Laura takes audiences on a musical journey celebrating the history and the diverse cultures of the American West. 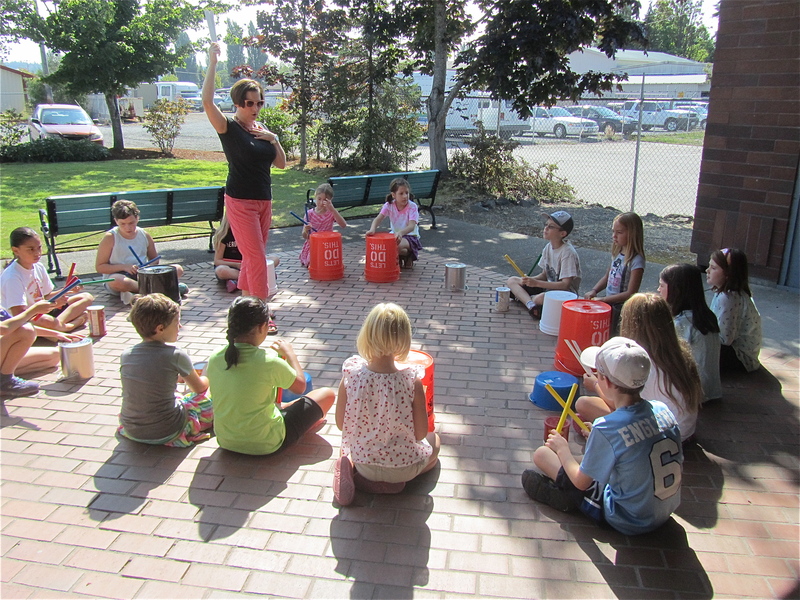 Experiential Music/Dance Workshops: (At least two visits per classroom recommended) for k-12. Explore the lives of Western emigrants through experiential learning with traditional folk songs and dances. Students sing and dance their way through the nineteenth century American West. Repertoire includes The Girl I Left Behind, Shenandoah, Oh Susanna, Home Sweet Home, Beautiful Dreamer, Buffalo Gals, Old Joe Clark, and Arkansas Traveler, to name a few. The Heart and Place program may be tailored to a variety of needs. For example, a school may book a single assembly program, or may choose to schedule an experiential learning residency which combines an assembly program followed up with multiple classroom visits. Students explore Cuban culture through rhythm instruments, dance, and folksongs. Students experience a variety of Cuban art forms from Rumba and Salsa dancing to the drumming and singing of the Yoruba, an Afro-Cuban tradition. Laura enhances the residency with personal travel narrative, photos/videos, and Cuban instruments. The class includes live accompaniment on the piano/keyboard and guitar along with a variety of recordings. Residency culminates in a casual class performance at the end of the week. Celebrate the vibrant music and colorful culture of Mexico and Central America through the exploration of traditional instrumental music, folk songs, and dances. A gentle introduction into finding your voice and singing for enjoyment. Laura instills confidence in new singers as she unravels the mysteries of breath support, range, tone, dynamics, and pitch. Singers enjoy a wide range of repertoire including folk songs, standards, broadway selections, and popular songs. Experiential residencies provide students with hands on opportunities to sing, dance, create rhythm instruments, create art projects, and compose original music, to name a few of the activities . Contact Laura about designing your own residency to suit your needs! Meeting the benchmarks for State Arts Standards, lesson plans incorporate age appropriate activities for imaginative and creative instruction. School residencies include comprehensive guides: (hard copy, CD-ROM) which contains a bibliography, discography, vocabulary list, key facts, sheet music, web links, learning activities and assessments.